Deep engagement is derived from great storytelling, the hero’s journey, and real-life immersion...all designed to make the player feel great about the experience. Our award-winning learning games are immersive for the players, who place themselves in various leadership positions, challenged to make emotional intelligent choices...all based on real life scenarios. Authenticity is achieved by the appearance of “Leaders in the Field” throughout the game and we regularly vet the content against the various course requirements for our instructors. ​Superlative engagement, retention and enthusiasm. We pride ourselves on giving the best service possible with assistance provided at every stage of getting started so that it goes as swiftly and smoothly as possible. Real-life business scenarios are backed up with academic citing providing relevant and engaging coursework. The game's lessons are stored in an online library for easy-access for students wishing to go back over each lesson at a future date. Business coaching sessions are provided as an optional extra through a visit in person or remote sessions with Kevin Allen. The sessions are designed to help players improve business skills in leadership, management, communications and EQ. The games are tested and updated on a regular basis to ensure that the content is relevant and engaging for all players. Our content and delivery method is mindful and inclusive to ensure that all students find the game journey personable and applicable for their individual needs. 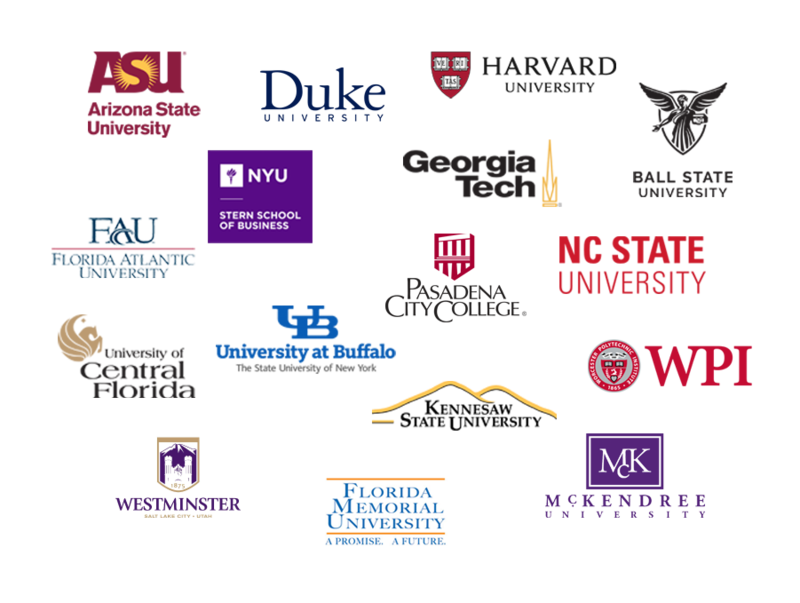 We are proud to count as our clients a list of some of the worlds most forward-thinking companies and schools from around the globe.